Munich. With a power output of 207 hp, an unladen weight of only 193.5 kilograms in the M version and an overall design concept dimensioned for maximum racing performance, the new S 1000 RR is ready and waiting to demonstrate its excellent riding dynamics, whether on the road or on the race track. To enable those with less experience to discover the full potential of the RR, without forfeiting either enjoyment or safety, the BMW superbike is fitted as standard with sophisticated assist systems like ABS Pro and DTC Dynamic Traction Control. And with the iRace Kit, BMW Motorrad is taking things a step further with this software system for the S 1000 RR that allows less experienced riders and even those who have just received their motorcycle licences to turn in an astounding performance on the race track, with the assistance of a number of autonomous riding programs. Only last year, BMW Motorrad revealed an enticing outlook to the future of possible motorcycle assist systems, with the self-driving R 1200 GS. Based on comprehensive research findings on the subject of independently acting assist systems, BMW Motorrad has now succeeded in developing a number of technical systems for use in serial-production motorcycles. Things kick off with the new S 1000 RR, for which the BMW Motorrad iRace Kit will be available from September 2019. Whether accelerating, braking, gear shifting or steering, with the BMW Motorrad iRace Kit, the RR is able to perform every manoeuvre fully automatically if the rider so desires, enabling him to enter completely new dimensions of motor transport physics. The technical basis of the BMW Motorrad iRace Kit is a GPS-supported software unit that is able to access all current race tracks in the Superbike world championships, as well as other famed courses, such as the Nürburgring Nordschleife and the Isle of Man. 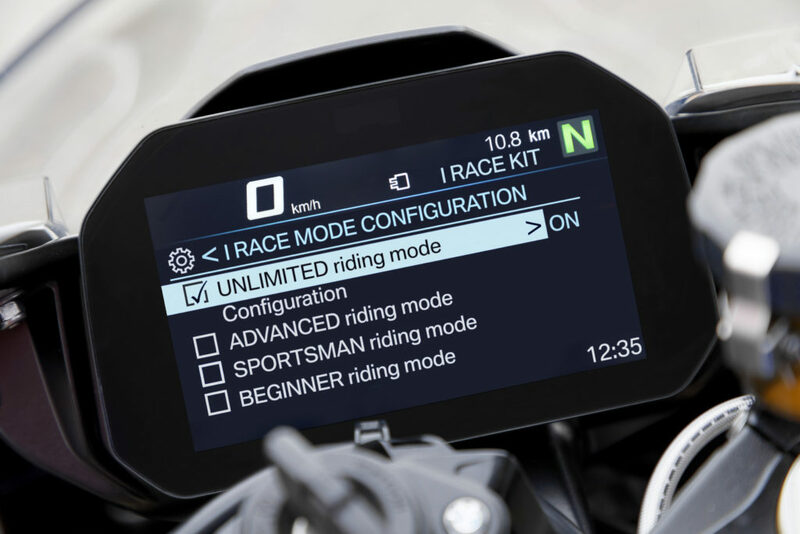 An additional user interface in the TFT display enables the rider of the S 1000 RR to preselect a particular riding mode for a specific race track, and in so doing programme any lap time of his choice – all the way up to the current record! A targeted controller for the ABS Pro and DTC assist systems that is precisely coordinated down to an order of milliseconds for the respective track position and surface conditions, in conjunction with the throttle valves and six-speed gearbox, enable the rider to approach incredibly fast lap times within a surprisingly short time. There are four riding modes available: Beginner, Sportsman, Advanced and Unlimited. The Beginner mode introduces a whole new world of motorcycling for newcomers to the race track. Beginning with the optimum track and temperature conditions, this mode enables even those with little or no experience to approach a lap time for the track in question up to a maximum of eight seconds over the current record. In the Sportsman mode, the braking points are set a little later, and those more familiar with race track riding benefit from a sharper throttle response and faster acceleration out of bends. In this riding mode, it is possible to realise a lap time up to a maximum of five seconds over the current best time. The Advanced riding mode is for experienced race track riders. Even later braking points in conjunction with the DTC Dynamic Traction Control for drift angles of up to 7.5 degrees and a slip of up to 12% enable lap times of up to 1.5 seconds above the track record. 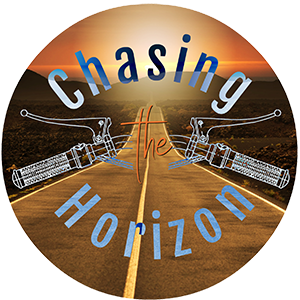 The serious hobby racer will enjoy unrestricted performance in the Unlimited riding mode. Provided he is of good physical fitness and has the right tyres fitted, in this mode it is even possible to achieve times up to the lap record for the track. To enable this, the drift angle is regulated for a maximum of 22.5 degrees with a top slip angle of 17.5%. The automatic bend control also has GPS support. The technical implementation involves two electromagnetic actuators fitted to the front wheel guide, combined with a complex gyroscopic system. This enables high-precision control of changes in direction, again down to an order of milliseconds.